Unfortunately, cancers are prevalent in the breed. Epilepsy and kidney problems are seen as is autoimmune hemolytic anemia (AIHA). Cockers are very prone to allergies, skin conditions and ear infections, and IVDD (Intervertebral Disc Disease) is also seen. This is a disease in which a disc develops a problem and the material inside escapes into the spinal column, ultimately causing pain, nerve damage, and partial or complete paralysis. 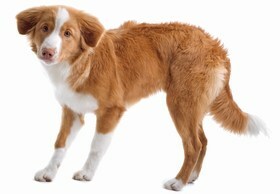 Because of the high number of health problems in the breed, seeking a responsible breeder is of utmost importance; many breed strictly due to the popularity of the Cocker, assured an easy sale, with little regard to avoiding health problems. The Cocker Spaniel has been one of the most popular breeds for decades, with good reason. Sweet and gentle with an amenable and cheerful temperament, they are sturdy enough for children, and typically make wonderful family pets. The smallest of the sporting breeds, Cockers require regular exercise but are easily satisfied with some play time in the yard and one or two 30-minute walks a day. They are usually good choices for apartments and condos, those with small yards, and those with little dog experience. A consummate family companion, the Cocker is cheerful to strangers and appropriate for the elderly. Their greatest joy is sharing life with his people and seeing them happy. Cockers are not suited to spend long hours alone; this can lead to behavior problems and separation anxiety. Just as they are agreeable with people, most Cockers get along well with other animals. However, as the case with other popular breeds, there are many breeders simply producing puppies to make a sale with no regard to health or temperament. These breeders often sell dogs with nasty, neurotic temperaments that are very prone to defensive biting. 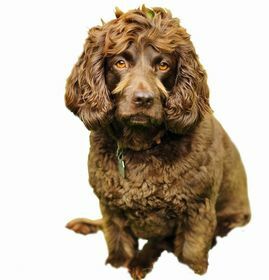 Finding a responsible breeder who produces the sound temperament that made this breed so popular is perhaps never more important than in the Cocker Spaniel. Even in well-bred Cockers, some lines produce dogs prone to shyness and fear and need careful raising and training to mature into good pets. Cockers will need plenty of positive socialization to help them become confident adults. Their sensitive, soft nature makes them prone to submissive urination, which is easily dealt with using positive reinforcement methods. Using harsh and physical training methods can turn a sweet, loving Cocker into a fearful, worried dog. Others respond to rough treatment with defensive aggression. Such a social, willing dog will respond with delight to positive methods, and your relationship with your Cocker will blossom when you work with them. Many compete in various dog sports, and outgoing Cockers may enjoy work as therapy dogs. It is recommended that Cockers be introduced to grooming very early and very positively. Teaching a reliable “quiet” can also be useful as some Cockers do enjoy barking. 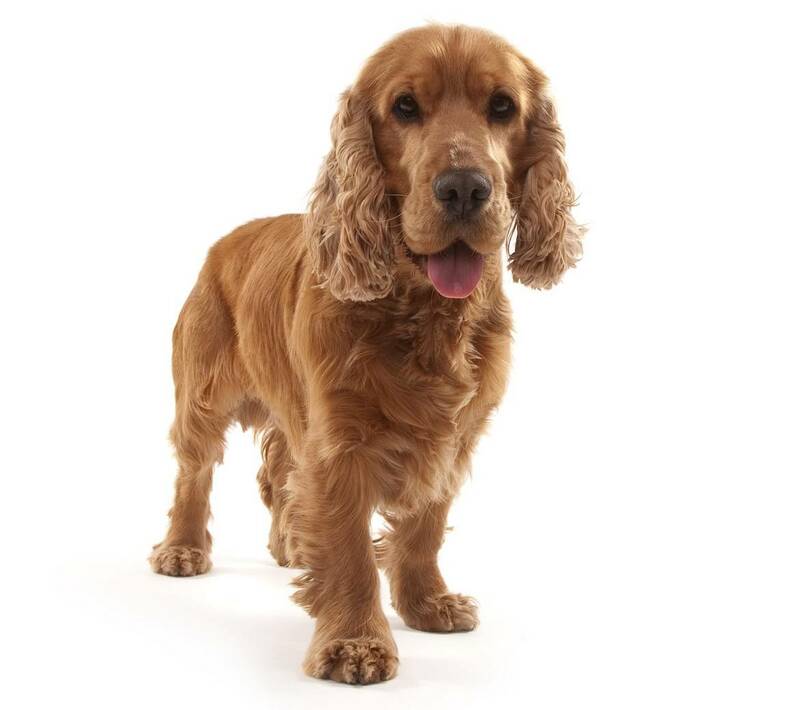 Cockers carry a beautiful double coat with heavy grooming and maintenance requirements. 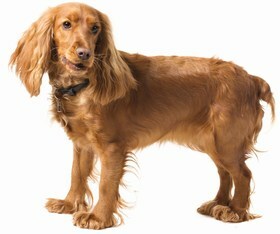 Many Cocker owners opt to have the thick furnishings clipped short, making at-home maintenance and upkeep easier. If left long, feathering should be brushed daily to prevent matting, and the entire dog brushed weekly. Cockers shed a lot, all year long. Twice a year, in the spring and fall when they “blow” their old coats, they will shed heavily, and during this time, brushing needs to be done daily to prevent matting. 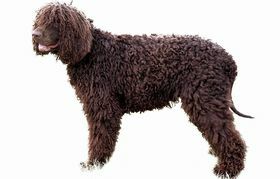 Like other breeds bred for water retrieving, the Cocker’s coat has a high oil content. This can lead to a somewhat “doggy” smell if not kept clean; your Cocker will likely need regular baths, perhaps in between regular grooming. Plan on taking your Cocker to the groomer every 4-6 weeks to keep them well groomed. Toenails should be trimmed; most Cockers will not wear down their nails, even if walked on concrete. Teeth must also be checked and cleaned regularly. A Cocker’s ears will need regular cleaning with a pH-balanced ear cleaner. The amount of food your Cocker will need can vary depending on age, activity level, and type of food fed; on average, Cockers will eat about 1-2 ½ cups of food per day, which should be fed in two meals. Free feeding should be avoided, as many Cockers are prone to becoming overweight. Obesity is rampant in this breed, and puts the dog at risk of many health problems. A portion of your Cocker’s daily food can be used when training to avoid overfeeding. If your Cocker experiences food-related allergies and sensitivities, some experimentation may be needed to find a food your dog can tolerate. A constant supply of fresh, clean water must always be available. Many Cocker owners choose tall bowls with narrow openings; this allows the dog to eat or drink but keeps their ears out of food and water. Another option some utilize is a snood, a stretchy fabric tube that is slipped over the dog’s head to keep the ears covered while they eat. As with most popular breeds, prices for Cockers have a very wide range, from the $700-$900 range to $1,000-$2,000. Breed rescue organizations are another option, where lovely dogs needing a home can be found; adoption fees vary widely, but are generally in the $200-$500 range. Ranking takes into account a few basic factors such as cost, skill level needed, high vs. low maintenance, and how critical regular training is to success. The Cocker rates a 2.5; they generally require little skill, and nice dogs can be found for a reasonable cost that makes an easy pet. However, it can take some time to find a sound temperament; they also have heavy grooming needs, and a fair amount of health problems.